Wearing a sword on your hip is not a requirement in a medieval or fantasy setting! 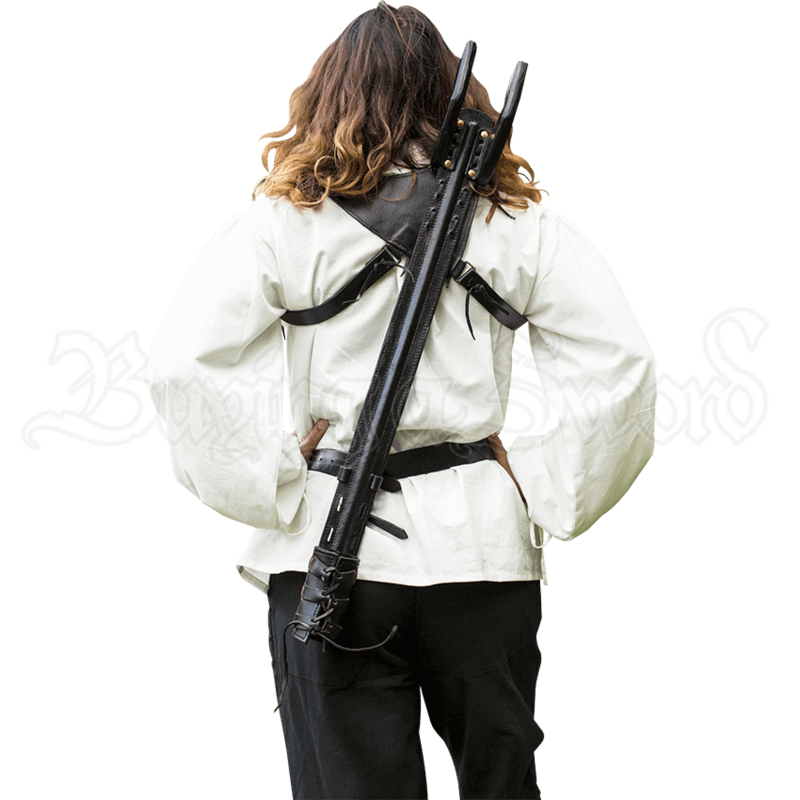 In fact, you might find that wearing a sword on your back with the Sky Hook Back Harness may add that epic flair you have been looking for! 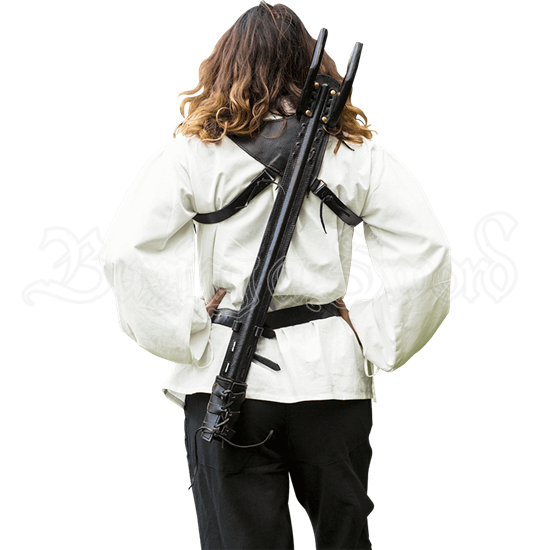 Designed for use with LARP foam weapons, this incredible sword carrier provides the awesome look of a back worn blade with comfort and ease of access. The harness straps around your shoulders and around your belt, ensuring that it will stay in place. A long board of stiffened leather runs the length of your back, featuring a laced sleeve at the bottom end to secure the tip of your blade, as well as stitching along its length to provide strength. Two wooden hooks are fixed to the board just above your shoulder, catching the crossguard of your sword while it is sheathed. With just those two features to secure your blade, this open design back harness allows you to easily draw and sheath your weapon from over your shoulder! Available in both black and brown leather, this epic harness is handmade, ensuring that each item is unique from the others of its style! Add it to your LARP gear or use it to bring an awesome flair to your medieval or fantasy cosplay!